It’s been confirmed. Samsung will be launching its latest Galaxy phone on February 21, several more months ahead of Apple’s upcoming and rumored iPhone 7 offer. Regardless of the launch dates, there’s no question as to the fact that these two flagship phones are two of the best 2016 has to offer. While both phones are not out yet, like any other avid mobile phone user, you’re probably just as curious about the these two upcoming releases. 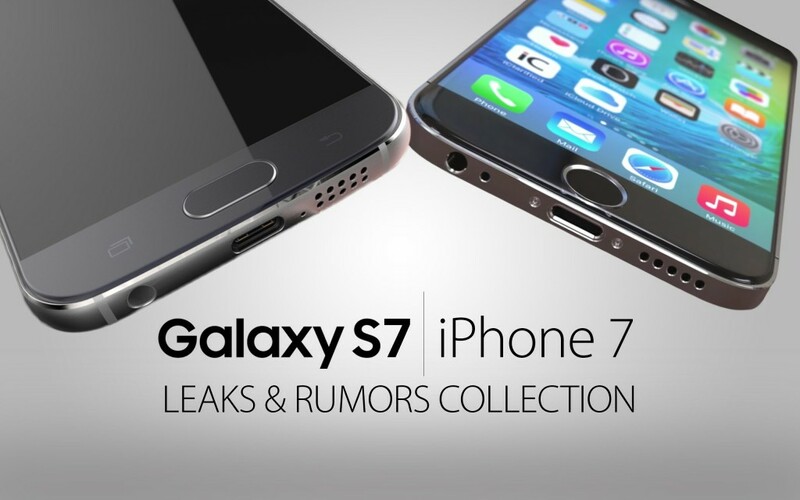 In an attempt to compare the iPhone 7 and the Samsung Galaxy S7, we’ve dug up some information and stumbled upon rumors. So far, this is what we know about the two upcoming phones. In terms of major specs, Galaxy S7 is rumored to sport a larger screen than iPhone 7 at 5.1-inch and 5.7-inch screens with an impressive resolution of 2560×1440 pixels. The phone is also believed to feature a distinct design tweak that will help distinguish it from last year’s Galaxy S6. Available storage options start from 32GB up to 128GB. iPhone 7, on one hand, will feature a smaller display available at 4.7-inch and 5.5-inch options with Force Touch and a resolution similar to that of the Galaxy phone of 2560×1440 pixels. Other major specs iPhone users can look forward to include the A10 processor, bigger storage options up to 256GB and a completely new design that may be thinner and even sleeker. While Samsung’s Galaxy S6 made a huge splash last year, the Korean brand reportedly suffered a disappointing two-year considering the intense competition in the mobile phone industry. Because of its loss in market share, Samsung is rumored to be on a money-saving mode this 2016. These money saving efforts are expected to trickle to the latest Galaxy phone’s overall design. Samsung won’t be introducing a lot of changes in the phone’s look. If you like the Galaxy S6 then you’ll probably like the Galaxy S7 because they’ll probably look the same with only minor design changes to look forward to. Taking into consideration Galaxy S6’s positive reception in the market, Apple is set to surprise the market with radical changes in terms of the upcoming iPhone’s designs. Apple is rumored to introduce an iPhone with a thinner body. While the phone may retain the size options, iPhone 7 will be luring customers with a bigger and longer lasting battery, wireless charging capability up to 15 feet away and dust resistance. Apple may also ditch the standard headphone jack to make the phone thinner. As for the camera, iPhone will be sticking with a 12MP rear camera and 5MP front camera just like the iPhone 6S. Samsung’s Galaxy S7, on one hand, will also feature a closely similar camera specs as the iPhone. It will feature a 12.2MP rear camera and 5MP front camera. Both phones are designed to record 4K video. Though there won’t be major upgrades on the iPhone 7 and Galaxy S7’s cameras, the rumored camera specs are already impressive enough as they are. With image quality akin to that of a DSLR camera shot, we certainly won’t be complaining. Like in most cases, choosing between the two upcoming flagship phones from two of the biggest mobile phone manufacturers in the market today will basically boil down to preference. Whether you’re a current iPhone or Galaxy user, the choice to upgrade or switch brands will depend on your need and budget. So long as you’re happy with your phone and you can afford it, go for the brand close to your heart.